All summer long, I've enviously read about everyone else's IKEA fun, while my own IKEA lies less than an hour away, taunting me with its style and deals. My mom and I finally made some time last week to make the trek up to my favorite Swedish superstore. Kids in tow. Our first stop was the childcare area, where Natalie practically burst into flames in her haste to commence playing. She was actually really disappointed when I came back to get her after my allotted 1/2 hour of freedom. I suppose if I were 4 years old, a giant blueberry basket turned sideways would look exciting to me. The whole deserted part didn't last long, even though we were there mid-week. But we did have a chance to shop and drool without feeling too claustrophobic. 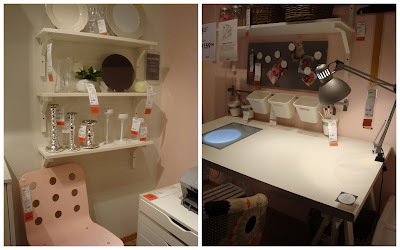 I thought I'd share some IKEA eye candy with you today! Some people make themselves right at home, testing out beds, playing, and crawling from room to room. This was mom's favorite room. Doesn't she look comfy? There are no words for this girlie craft room except to quote Rachel Zoe. "I die." I love that the "apartments" use every inch of available storage space! 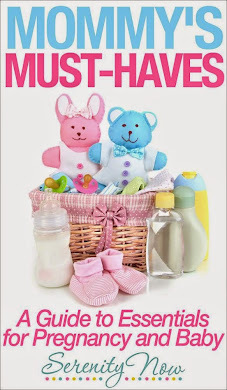 And then it was on to the Accessories and Household Goods, where I would have loved to stay. But the natives were getting restless, and by restless I mean dragging their feet and asking to go to Panera. A $1.50 plastic bag dispenser. Sometimes my sense of adventure is shocking even to me. I didn't spend much, but I came home with some great inspiration, especially for the kitchen and Christmas gifts. Come back tomorrow for a super-neat blog related Giveaway from Seven Thirty Three--Custom Blog Design! 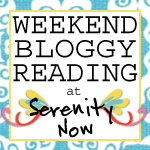 And don't forget to bring your favorite post of the week to link up on Friday for Weekend Bloggy Reading! 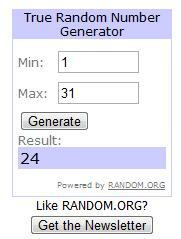 The winner of the Shabby Chic Cottage Giveaway was #24, Dogmom Diva. Winner of the Sometimes I Swirl Giveaway was # 25 Michelle at A-Tisket A-Tasket. Email me ASAP, girls, so I can hook you up! 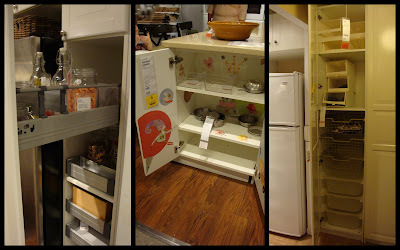 Okay, I can't get enough of Ikea! I love that store! And what I won??!! Okay I can no longer say I never win these giveaways, I've won not 1 but 2 this month!!!! My favorite posts are the ones with pictures of the girls:-) I have IKEA envy now! Maybe I'll talk Sam into going with me next week!?! BTW - that ballet bar was ADORABLE and would be so easy to recreate! Thanks for the Ikea fix! I really needed that! I never get to Ikea because it is six hours away! I love, love, love the white kitchen! You know, I've never been to IKEA - it's close enough but I'm afraid I'll come home with the whole store! Love the pictures of the girls - gotta love a store that's fun for the whole fam!! Oooh, this post is making me want to make a trip to Ikea asap! Only 1/2 an hour? Last time we did Smaland it was a full hour! What fun! Lucky you to live that close. I have looked at those plastic bag dispensers every time I've been at IKEA for the last 10 years, and never bought one. 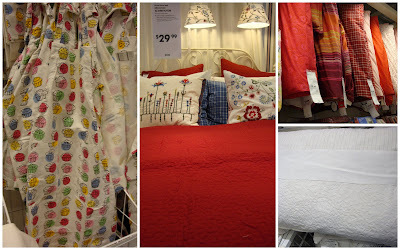 I took my first trip to Ikea this summer and I am so sad that the closest one to me is over 6 hours away! There were so many amazing things...and the prices are so good! Oh wow!!!! I love the eye candy! Great pics!!! It looks like you had SO much fun!!! Sigh...what wonderful inspiration. Question...what are we supposed to email you? Do we send the post we want to link up or do we do that on Friday at your linky party...I am just a little confused. Thanks for the help! I am still learning all of the technology side of blogging. 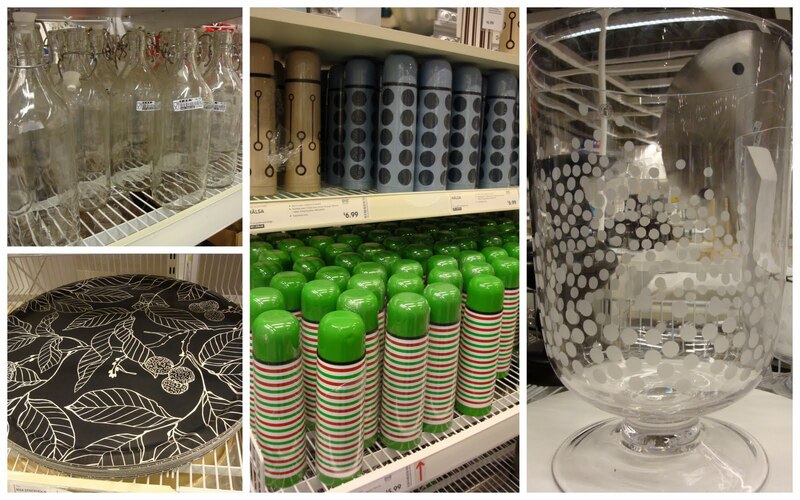 Fabulousness all around, thanks for the reminder to get my bee-hind over to IKEA ! We have an IKEA in North Carolina, about 2 hours away from here. I haven't made it there yet. I've been to the one in Northern VA, but that was YEARS ago--like in 1987. When you were seven years old, if I'm remembering correctly! 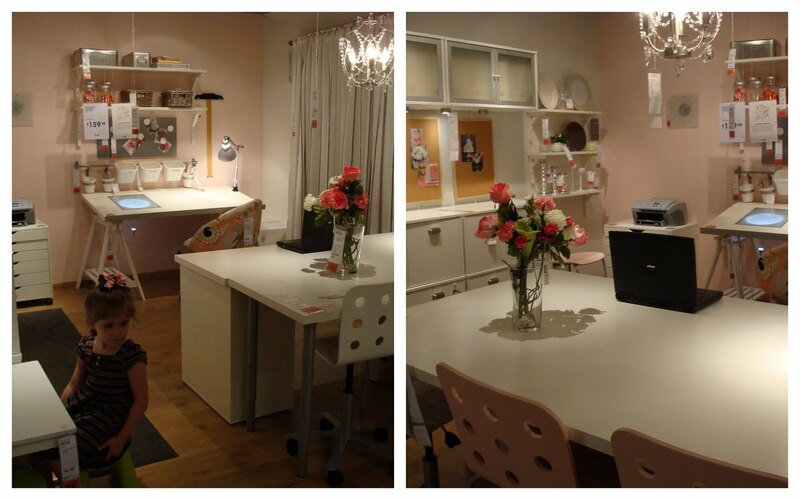 Anyway, from these pictures of yours I'd say that IKEA has really come up in the world since 1987! Maybe I need to make myself drive the two hours to the Charlotte store and see for myself. I don't have an IKEA anywhere close to me! Thanks for the pictures, I want to go to IKEA so bad now! So... 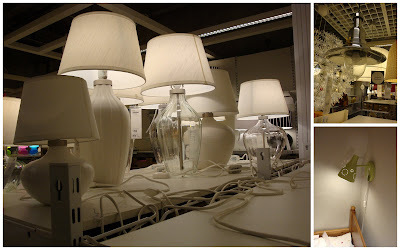 I was thinking about going to IKEA to shop for lighting... but now I am CERTAIN that I am going!!!!! I just can't help myself... I am in love with IKEA. Thanks for sharing. It's probably a good thing that I've never been to an Ikea. You were so good to only purchase a bag holder. It looks like a dangerous place. I wish my mom had an Internet connection so that she could see your kitchen photos. I've been trying to get her to drive to your Ikea to look at cabinets, but she won't listen. The white cabinets in the first picture are very similar to what she wants. I'll bet Ikea's price on them would be much better than what she'll pay locally. I love the look of the farmhouse sink in your second photo. I wanted her to get one of those for Walnut Avenue, but she's using an old, old sink that someone gave her that has the big drainboards on either side of the sink part. This was a fun post. Since I've never been to Ikea, you gave me a real taste of what I'm missing! I love Ikea and love the pics you've uploaded ..i did quite a bit of shopping too recently and made a corner with lots of pics with their colored frames ..it serves as a cute little dining area for two ..wish i could share the pic ..but thanks for sharing such loveliness !! Natalie yelling, "fax it to me!" Just too funny! Gotta love IKEA. The one nearest to me is 2 hours away. Darn! Oh I love Ikea. When I first bought my house, all we could afford was Ikea. It all holds up so well. I have pieces for 10 years now from Ikea. Sadly, the closest one to me is 2 hours away now. LOL that you only came home with a bag holder. You crack me up. And your girls? I want to eat them up. Love that she yelled "Fax it to me." Where do they get this stuff? You couldn't make it up. Don't even get me started on that kitchen. I'm seriously leaning in the IKEA direction for kitchen cabinets, and these are at the top of my list. And, farmhouse sinks make me swoon. Now, I want to go to IKEA. STAT. I have never been to an IKEA store. Love too though! They have the coolest stuff. My newest inspirations come from The Container Store...oooooo!!!!! Such wonderful ways to organize and store your trash, oops...I mean treasures. Ha! Oh my gosh! It looks even better than I imagined! I'm gonna have to make a trip to Memphis (3 hours) to get to an IKEA sometime soon. It looks amazing and I'm LOVING that farmhouse apron front sink!! GORGEOUS! Thanks for giving me a peek! That kid's area ROCKS! You did a great job taking us on your shopping trip with you :). 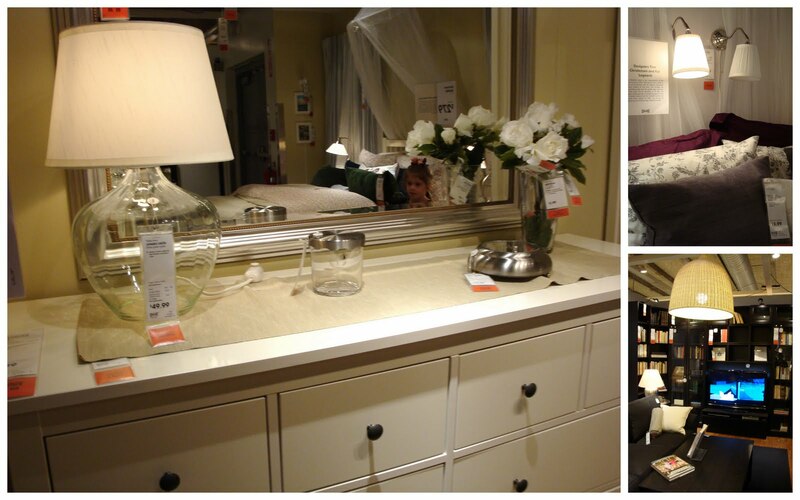 Love me some Ikea! I've never been to an Ikea. :( I love these photos. Especially the KITCHENS! Just gorgeous.